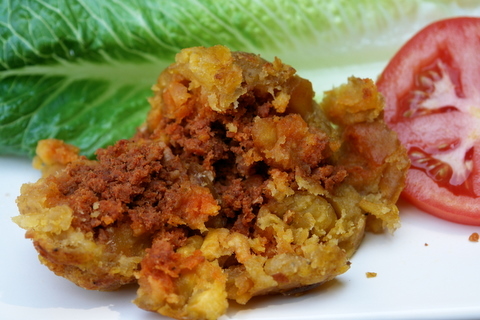 Bolon de verde -green plantain dumplings stuffed with cheese, chorizo or chicharrones and fried until crispy- is another typical Ecuadorian (and South American) dish. 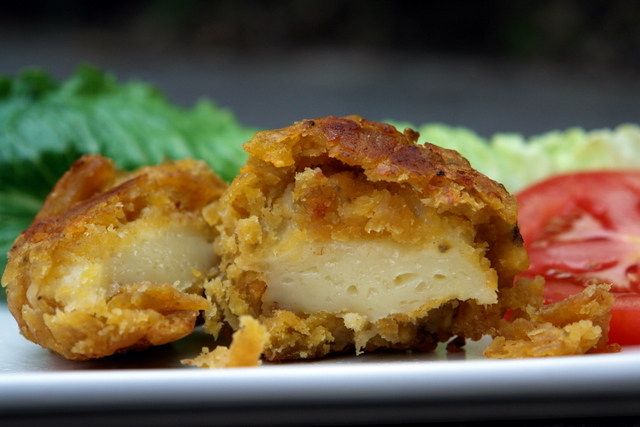 This dish of green plantains which are fried over medium heat until very tender, then mashed into dough, stuffed with cheese or pork, formed into round balls, and then fried again until crispy. Bolon is a slang term that means large ball, so you could translate the name of this dish as green plantain balls, but I think green plantain dumpling is probably a better food translation. 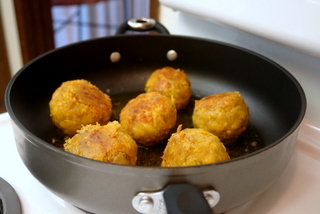 These bolones or stuffed dumplings can be served for breakfast or brunch; they are also a great side dish or good appetizers.If you are serving bolon de verde for breakfast or brunch I suggest that you accompany it with hot coffee, a fried egg, hot sauce, and some tomato or avocado slices. 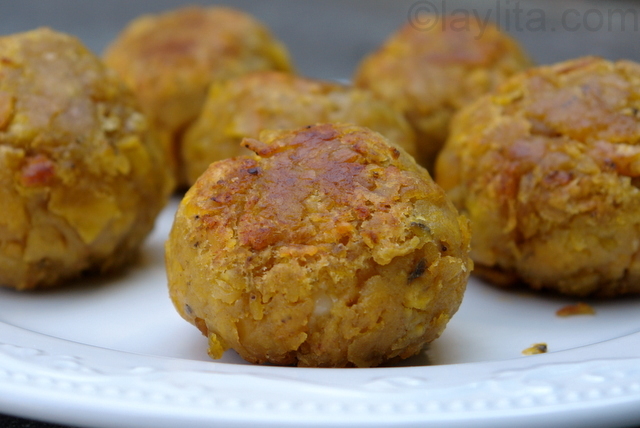 Bolon de verde are green plantain dumplings stuffed with cheese, chorizo or chicharrones and fried until crispy. Add the plantain chunks and cook for about 40 minutes or until they are very soft, turn them about every 10 minutes, they should be slightly golden but not too crispy. Sprinkle the cooked plantains with the chili powder, cumin and salt. 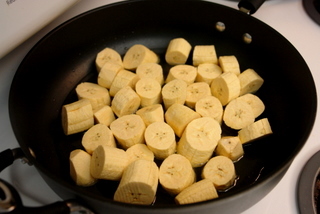 Transfer the plantain pieces to a bowl, do this while they are still hot (but be careful not to burn yourself). Mash the plantains using a wood masher - or just a regular potato masher – until you obtain chunky dough like consistency. 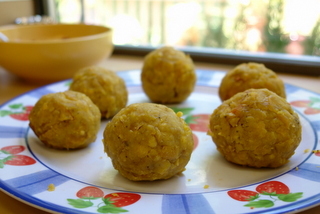 Form balls slightly smaller than the size of a tennis ball with the dough. 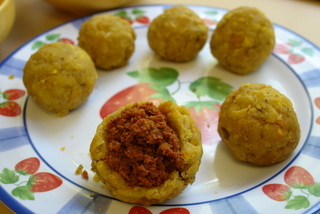 Make a hole in the middle of each ball and fill it with the cheese or chorizo or chicharrones (mixed with ground peanuts), gently press the filling into the hole, cover the filling and reshape it back into a ball shape. Heat the oil over high heat, add the stuffed plantain dumplings and fry them until they are golden and crispy on each side. Transfer to plate lined with paper towels to drain the grease and serve immediately. Bolones are typically stuffed with cheese or with chicharrones, which I have to clarify that unlike in Mexico and Central America where chicharrones are fried pork rinds, what we call chicharrones in Ecuador are actually chunks of deep fried fatty pork meat– yes, not the healthiest, but very tasty. For this recipe I made some bolones stuffed with cheese and others stuffed with chorizo, instead of chicharrones.In some cases the last step of frying the stuffed dumplings is omitted and instead the bolon de verde is served right after being stuffed, personally I prefer to fry it again because I love the crispy exterior that it gets and it also ensures that the dumplings are nice and warm when you eat them. I tried to come up with a healthier variation by boiling the green plantains until tender –as opposed to frying them -, but it is much harder to get the right consistency that way, instead I ended up making another dish called majado or molloco de verde – a dish with similar ingredients to bolon de verde but instead of making dumplings you just mash the plantains and mix everything together (similar to a potato hash). 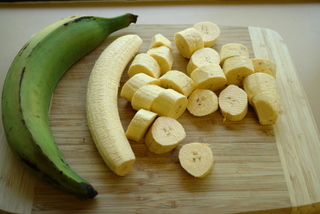 Green plantains can be somewhat difficult to peel, the best way to peel them is to make the lengthwise cut on one of the protruding edges, the cut should be skin deep only without touching the actual flesh of the fruit, next use the knife to raise the skin and then peel off the skin with your hands. The greener they are the harder it is to peel them as the flesh tends to stick to the peel, in that case peel it as best you can and then use a knife to remove the stubborn parts of the skin.I do this under cold running water to keep them from staining everything and from darkening. 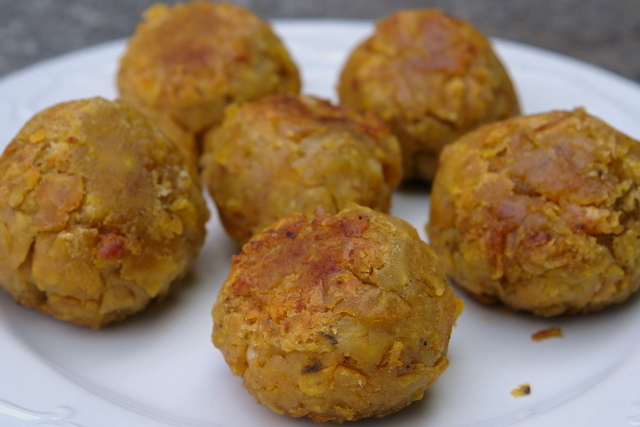 For a vegetarian version you can stuff the bolones with cheese, also if you are ever traveling in Ecuador and want to order these as a vegetarian dish –same thing applies for many other dishes – you should know that lard is used more than oil to fry or cook food (even rice), and most people are so used to it that even if you specifically request no meat in your dish they will sometimes still use lard -called manteca – in the preparation of your vegetarian dish,this is not done not out of evil, just out of habit. I just had some of these for Sunday brunch in Ayuda, Galapagos yesterday and looked to you to see how to make them. Here these were called “mixto” with white fresco cheese and pork (choriso) , served with fried egg and an Ecuadorian beef stew (and only on Sundays). These were the best I have had with lots of spices ad flavor. It tasted like they may have used an “adobo” blend to season the balls. Most of the others I have had in Ecuador were very bland and I had stayed away, but spiced right these are great. Two quick questions – how far in advance can the dough be made? And, what kind of cheese would you recommend using? These look great! I had them in Ecuador and can’t wait to try them again! Hi Emily – They’re really best when made and eaten immediately. Green plantains get very hard when they cool down and you can re-heat them, but it’s not as good. My mom used to make these for Sunday brunch but without the cheese and I remember her adding crunchy peanut butter, I guess to better bind the ingredients. Whatever the reason, it was sooooo yummy! All but one recipe I’ve found online do not include peanut butter. Have you tried them with mani? <3 your website, the pics and recipes are to die for. Yes, I love them with mani. I sometimes add ground roasted peanuts (or peanut butter if I don’t have roasted peanuts). Adding mani/peanuts seems to be more popular in the Manabi province than in Guayas, most places in Manabi always had the option to have it with peanuts – my favorite is combining both mani and cheese, it’s delicious! Thanks for this easy yet tasteful recipe. It’s very common to simmer the whole seeds in oil, lard (butter also works) to make “esencia de achiote” or achiote oil – sometimes you can also add spices like cumin and garlic to make a condimented achiote. The same can also be done with ground achiote, you can make a grease based seasoning mix or also a dry seasoning mix with ground achiote. You can use either achiote oil or the ground achiote for most recipes that call for achiote. Your boyfriend is right. So I thought until I started cooking myself. I never ever saw my parents using the envelopes or cubes to season our food. I would always see the special little pot with Achiote seeds and oil (very little oil maybe a tablespoon), the cover had little whole to vent. You can find the Achiote seeds at your local supermarket in the seasoning isle. I tried my best in keeping tradition but it lasted very little. I used to love hearing the achoite pop once it was ready. I will be following your blog. Question: Are you Ecuadorian? 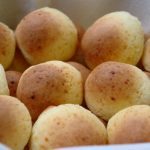 I’m just curious how many bolones this recipe makes…I’m wanting to make them in bulk for an international food night at my church. Thanks! 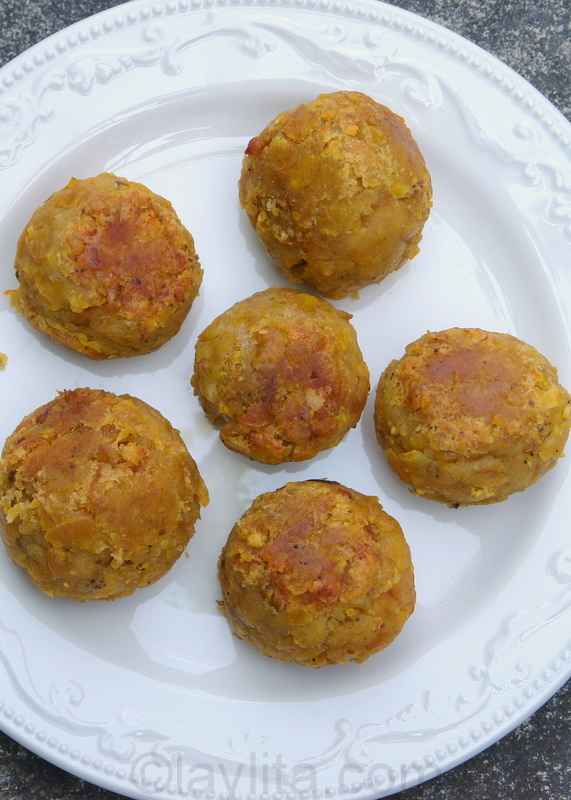 This recipe makes about 8 bolones, a couple more or less depending on how big you make them (and also on the size of the plantains). Hi Laylita! I love love love your blog. I usually end up feeling homesick and hungry for Perú (where I lived for 2 years). :) I was wondering if you’ve heard these being called “tacacho” in Perú, where I had them in the jungle. Sounds sort of similar, but I’ve never made them. Hi Amy – Yes, Ecuadorian bolones and Peruvian tacacho seem to be very similar. Many plantain dishes that are popular in the Ecuadorian coastal region are also very popular in the Ecuadorian and Peruvian jungles since those areas also produce a lot of plantains. Thanks so much for responding! I love the similarities and the differences between the southern cone cooking styles!! I came across your blog recently and I absolutely love it. A friend of mine is from Ecuador and he has always talked about these. Question, how do you get the plantains from not getting too crispy in the first step? I used butter and kept the temperature really low for most of it as after the first 20 minutes they were quite brown. I also made sure to turn them every 10 minutes. While they still turned out good, I had a few pieces of tougher plantain so the dough didn’t come out as smooth as yours. Hi Kristen – Sounds like you are doing everything right, it could be the plantains, make sure that they don’t have any bruises, dark or dry spots which usually tend to be tough when cooked. 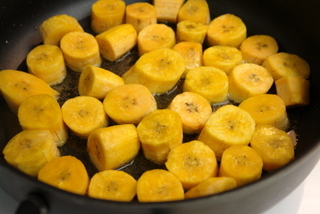 Another option, and healthier, is to boil the plantain chunks first and then give them a few minutes in the oil. These were awesome. I loved them but I definitely did not put as much spice in them as the recipe calls for. I put about half the cumin and a pinch or 2 of chilli powder so as not to kill the flavors of the plantain and the cheese. Thanks so much for this recipe idea. You have a great website and I am slowly trying almost all your recipes. Laylita! I love your blog. I just spent the last nine months in Ecuador and it has a special place in my heart. I cannot wait to go back. 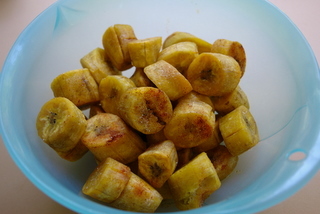 While I was there, there were times when I thought, I just cannot eat another platano, but I love them. I came back to the states and couldn’t wait to go out and make some of the traditional food I came so heavily to rely upon. I love Bolones for breakfast. I made this for my family and it turned out as authentic as it could get. I can’t wait to make the recipe you have for Encebollado, another favorite of mine. You have a fantastic blog. Gracias!! Your site is awesome… just so you know. I’ve been looking for a good recipe for these for a while! And your photos definitely do it justice, looks sooo good. I’m currently in Ecuador and before I came here, I tried this dish in Boston and fell in love. I can’t wait to make it myself and I love the fact that you included pictures. can they also be stuffed with ground beef ? These look amazing. I lived in Ibarra and Quito for 1 1/2 years as a university student, almost 20 years ago. Memories of the food and how it looked/tasted are so vivid for me. FYI, recent nutritional research suggests that lard is actually a much healthier fat for frying than vegetable oils, because it can withstand the higher temperatures much better — so no need to feel guilty! Hi Linda – Thank you for your comment, I’ve started incorporating lard a little bit more into my cooking, the interesting thing is that it seems hard to find a good quality one – the regular grocery stores just carry one brand (in a small blue box), but I’ve been able to find lard in the round buckets (just like in Ecuador) in some of Latin grocery stores. I have been trying to find good quality lard as well. I never thought about looking for the ones in the Latin grocery stores. I will check my local Latin grocery stores for Lard. 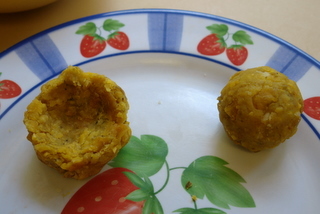 Bolones are really best when eaten right at the time when they’re made. I haven’t tried freezing them and personally I don’t really like them much re-heated. But, I completely understand the idea of wanting to have them for breakfast without having to worry about going out to fin green plantains. I remember my grandmother making these. 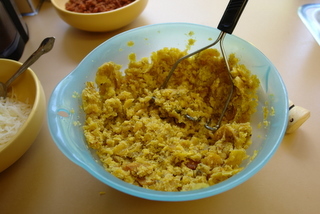 One variation – the plantains were cooked over coals before mashed. 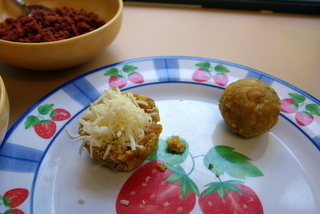 Also the best I ever had was when she made them combined with roasted mashed peanuts – Bolon con mani. Yumm. You should try filling them with shrimp, it’s delicious. My brother in Law and inlaws have been here since the end of Feb and I we have been trying some of your recipes. This is so good and we had some Queso freso from Ecuador and they were so good. So glad to have found this. My book club is reading Darwin’s Origin of Species and we need to bring Ecuadoran food to the party next month. This looks delicious and easy to make! Thanks for sharing! Ps. 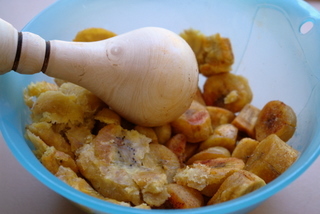 If you could post the recipe for tigrillo ( another plantain dish) that would be great. mmmm, I remember caldo de bolas from my days in coastal Ecuador also. This got me to remembering to try to find the recipe for the tortillas de maiz that were sold alongside the roads in coastal ecuador. The vendors would board the bus with them and sell them on the way through town, getting off at the other end of town to catch the next bus going the other direction. They were more of a large hockey-puck shaped ball of ground fresh corn, stuffed with the local salty cheese, then fried, I believe. I remember watching my landlady make them, but never wrote down a recipe. 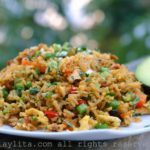 Hi laylita .My husband is from Ecuador and really misses the food . I tried to make the bolones which he loves but they kept falling apart in the second cooking .I thought i squeezed them together right !Do you think if they are too brown before you mash them that that would effect it , or should i have added the butter from the pan to the mix?also is it teaspoon or tablespoon of cumin and chilli powder.please help me get this right for my lovely hubby.I made your encebolada of tuna and he loved it thanks. Hi Ann – I’ve found that the key to the bolones (or any other dish that involves mashing green plantains) is keeping them warm when you work with them, it’s best to have the fillings ready and as soon as the plantains are cooked (you can poke at them to make sure that they are tender inside) but not overly browned or crispy, once it is safe enough (temperature wise) to handle them you need to mash them as quickly as possible, form the balls and stuff them. Another factor are the plantains themselves, most of these are shipped from South/Central America and are not always in the best condition, so they don’t always cook the way they should – also for dishes with green plantains the ones that are easiest to work with are those that are still green but not extremely green. I didn’t add any additional butter from the pan, they absorb it during cooking. For the cumin powder it should be a teaspoon (sorry – that is corrected), but I did use a tablespoon of chili powder – mainly because I like them spicy but you add less if you prefer. I hope this helps! running to the store for green plantains! Tennessee though. As always one can almost taste the photographs!! This looks really good and I will have to try it. I am from Guyana, South America and plantains is a part of our diet, so this will definitely be made! I love your recipes and especially the photographs of the food. They make my mouth water. I lived in Ecuador for about 18 months as a missionary and I miss the food a lot. 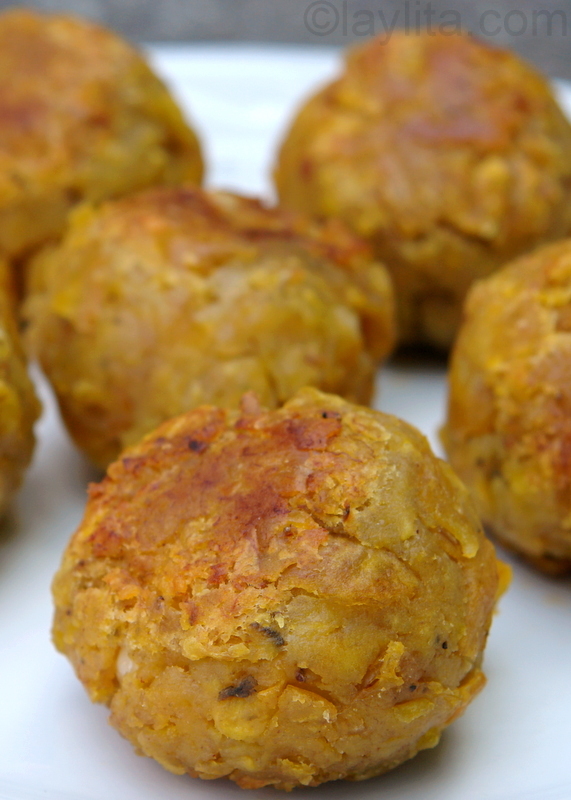 Have you already put up a recipe for quimbolitos? Hi Lydia – No recipe for quimbolitos yet, but they are also on my list, I made them a while ago using foil as wrappers since I couldn’t find the achira leaves, but I’m going to try again using banana leaves, if they turn out well I will post the recipe. Thanks for this recipe. 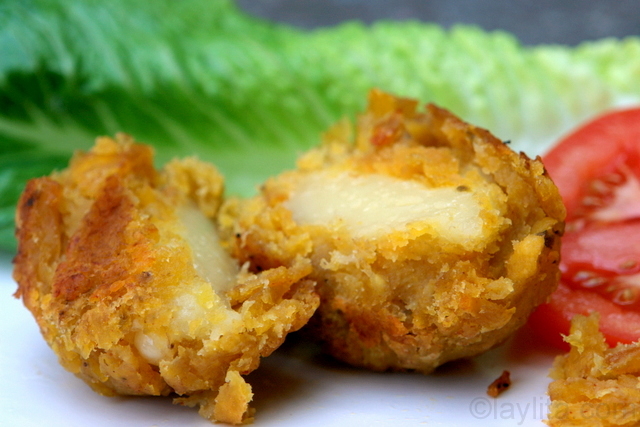 When I lived in Ecuador we frequently ate a caldo de verde which had similar bolones, always stuffed with cheese. Do you have a recipe for this dish? It was very simple, I think with a chicken stock base. Hi Rachel – I’m working on the recipe for caldo de bolas, it is a very requested dish so hopefully I will have that recipe posted soon.